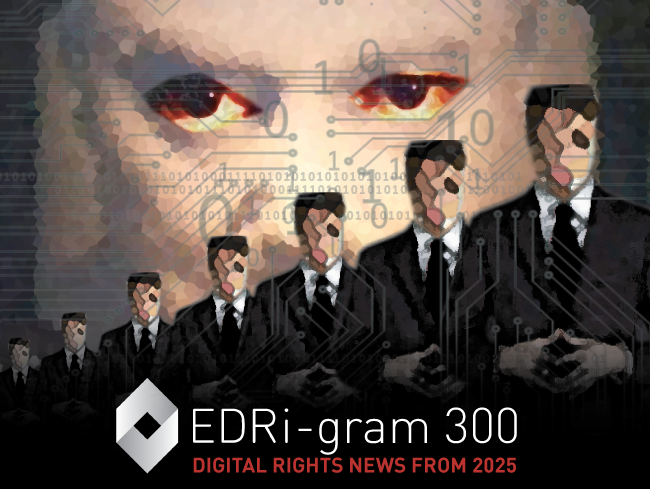 We are proud to present the 300th edition of the EDRi-gram as an eBook entitled “Digital rights news from 2025”! Since 2003, the EDRi-gram is reporting on developments across Europe to raise awareness of attacks on freedom of expression and privacy as well as to highlight good news and best practice. The EDRi-gram publishes free speech and privacy advocates’ media stories from across Europe every two weeks. EDRi’s members, observers and guest authors frequently contribute with reports and analysis from their home countries. To celebrate our 300th edition, we have collected articles from the brightest stars in the digital rights universe. In the articles, they imagine what they will be writing about in 2025. With contributions by: Dunja Mijatović, Hans de Zwart, Simon Davies, Jillian C. York, Cory Doctorow, Katarzyna Szymielewicz, Joe McNamee, Jesper Lund, Kirsten Fiedler, Erich Moechel, Raegan MacDonald, Estelle Massé, Douwe Korff, Bogdan Manolea, Monica Horten and Annie Machon. The anniversary edition is available in various formats, including a DRM-free ebook (.epub ), a .pdf version and is published under a CC-by-sa licence on our website and on all major retailers worldwide.